Dendrobium Garden » Beautiful dendrobium spp. 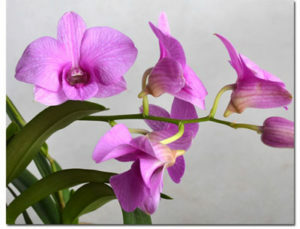 browse:Home GardeningExperience Orchid Beautiful dendrobium spp. I like growing orchids, especially dendrobium, why? Dendrobium is a species of orchid. Dendrobium is graceful, exquisite and lovely with bright colors and fragrant smell. 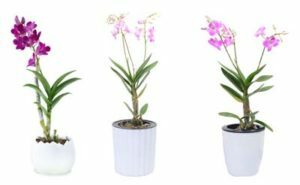 Dendrobium likes shade and is a good family garden flower.today I would like to introduce to you a very beautiful dendrobium，let’s look at the picture first. 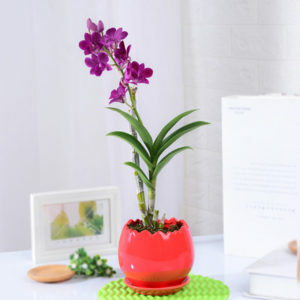 Its name is dendrobium spp.,what are the characteristics that make people like it? Dendrobium spp. can grow to 30-70cm high, Verdant leaves On both sides of false bulb,for several years without shedding,it stands out and beautiful in the room. In autumn inflorescences grow from the top,There are a few to a dozen flowers,Bright and shining,Flowering time up to 2 months. Dendrobium spp. has a strong, peaceful and amiable emperament.hence the name “father’s day flower”. In addition, dendrobium spp. is easy to grow and bloom. Dendrobium spp. prefers high temperature, moist and sunny environment. The substrate must be loose, permeable and breathable.General water moss planting, also can use bark, bluestone, coconut grain, charcoal mixed planting. Dendrobium spp. loves light,but too much sun can dehydrate and blight it,in summer need to appropriate shade the sun,in spring and autumn, and in winter, full daylight is acceptable. The most important thing is watering.in the spring and autumn season water once every 3-4 days.In the winter water once every 6-7 days.in summer need to water everyday.water thoroughly every time you water it,but no standing water. Winter should be moved to indoor insulation,don’t put in under 8 ℃ environment. If you want to plant a few at home，or give it to a friend as a holiday gift,you can click here to buy from Aamazon.